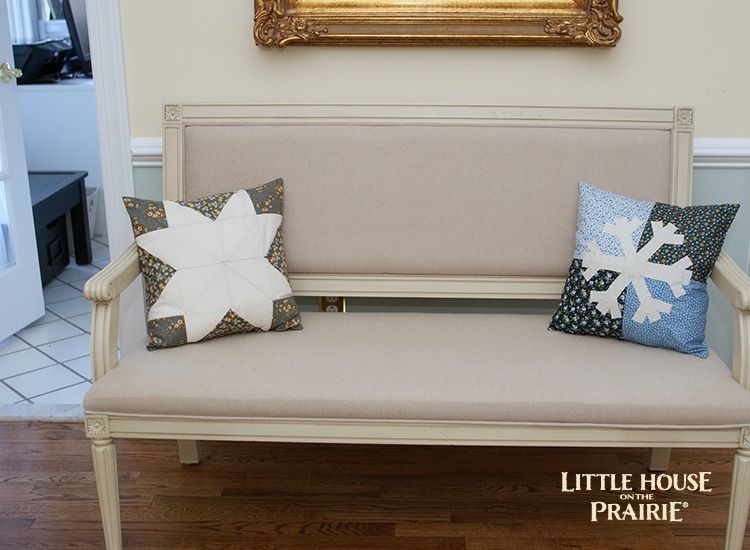 A recent issue of From Scratch Magazine featured some of our fabrics in a quilted snowflake winter pillow DIY. 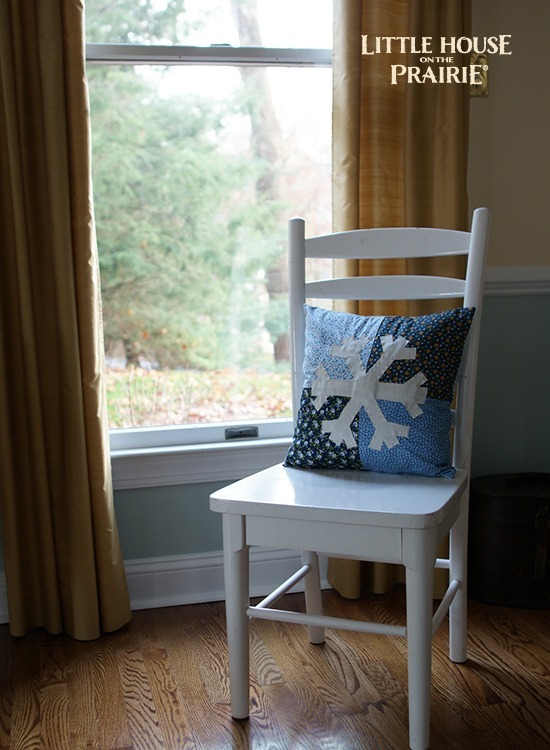 We wanted to share another variation for a winter pillow DIY with this simple four-patch background appliqué snowflake. 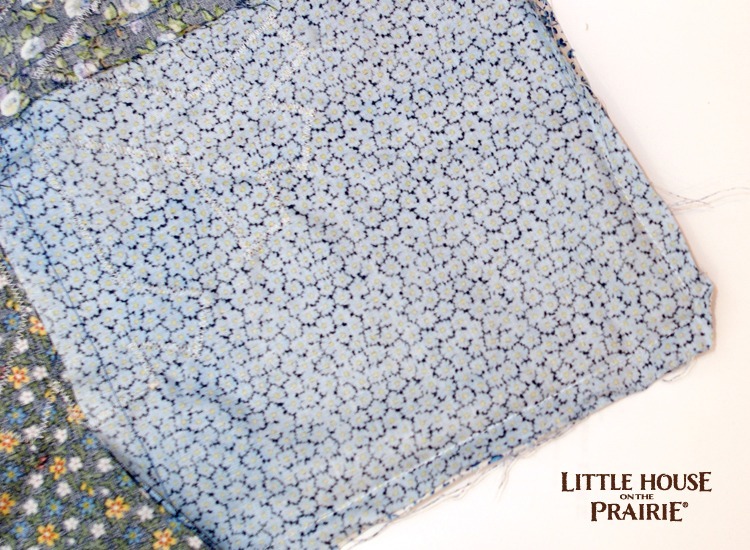 Both projects feature the beautiful line of Little House on the Prairie® fabrics by Andover Fabrics in 2015. Most of the fabrics are sold out. 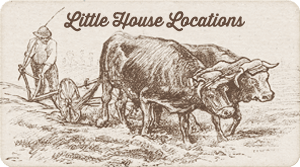 We recommend using a similar county pattern. ⅓ yard of white or off-white fabric. 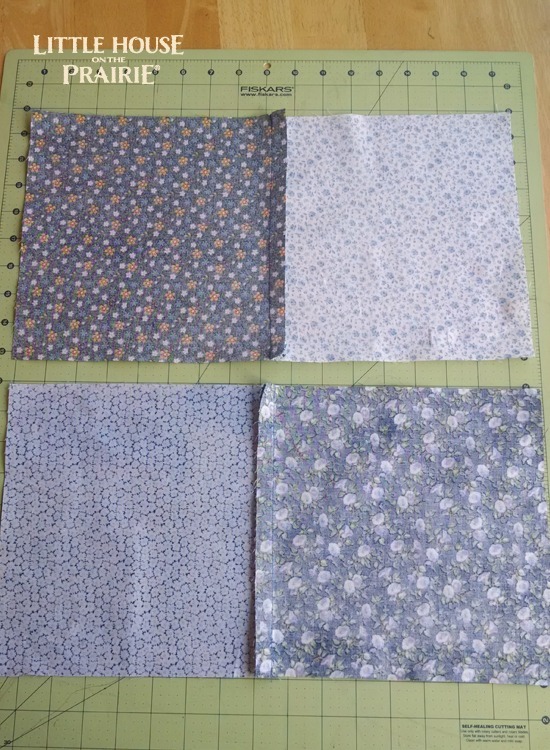 ⅓ yard each of 3 different and coordinating fabrics (you could also use fat quarters). 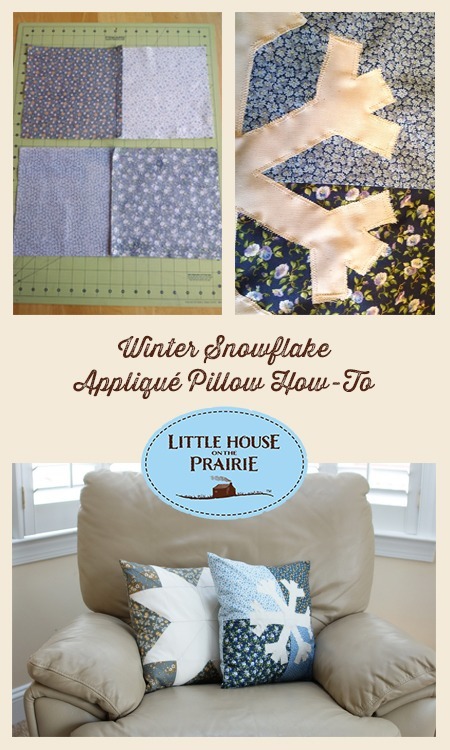 Click here for the snowflake pattern used for this pillow. 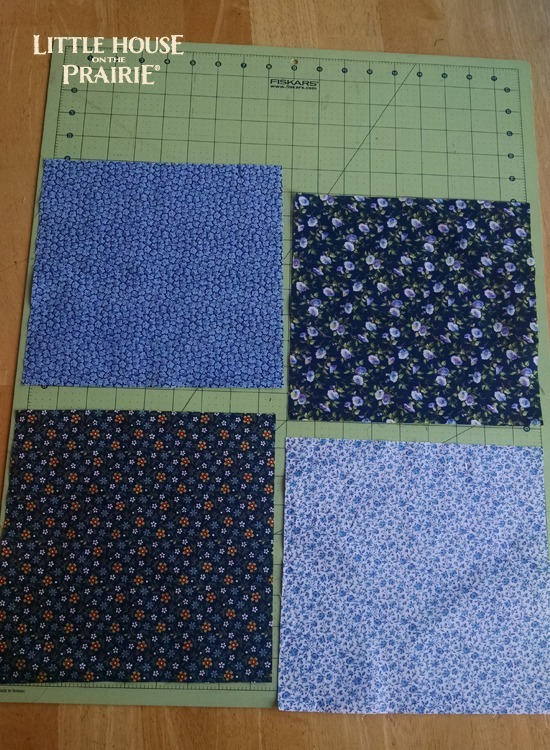 Step One: Cut 4 -9 inch by 9-inch squares, one from each of the coordinating fabrics. 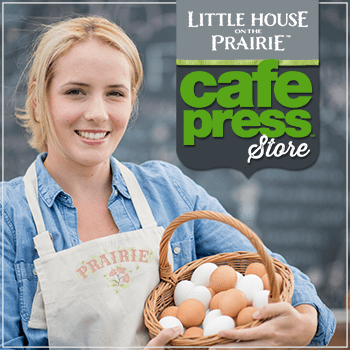 Lay them out in the order you want for your design. Step Two: Sew the squares in each row together. Sew the rows together, being careful to line up the seams. Iron the seams flat. This is the front of your pillow. Step Three: Now it’s time for the snowflake pattern! 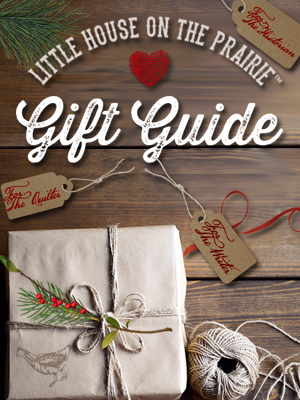 Print out the half snowflake template onto paper and cut it out. Place it on the fold of your white/off-white fabric. 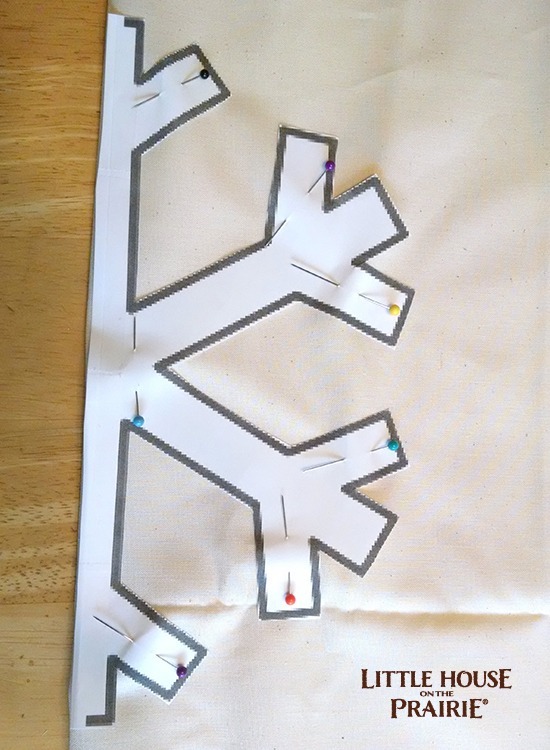 Pin well and then cut out the fabric. When you unfold the fabric it will be a symmetrical snowflake. 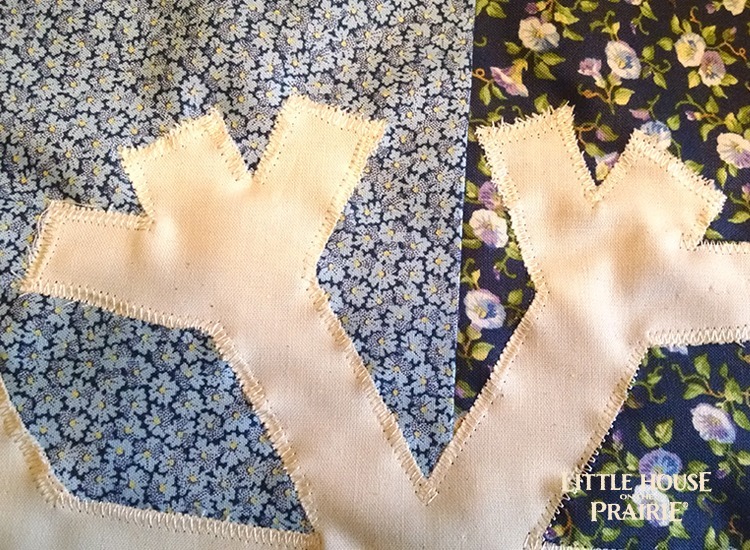 Step Four: Place the fabric snowflake in the center of the front of your pillow. Pin well in place. 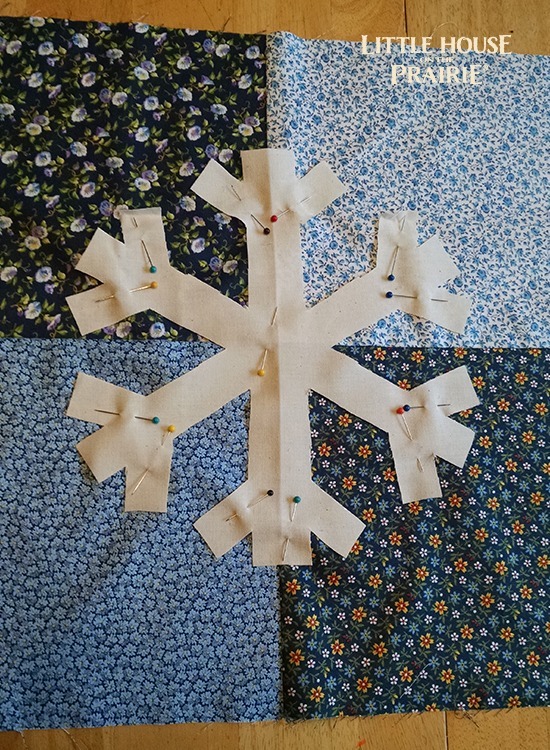 Step Five: Sew around the edges of the snowflake. 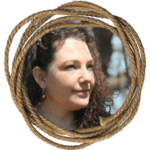 I set my machine to 1 for Stitch Length and 4 for the Zig-Zag stitch. 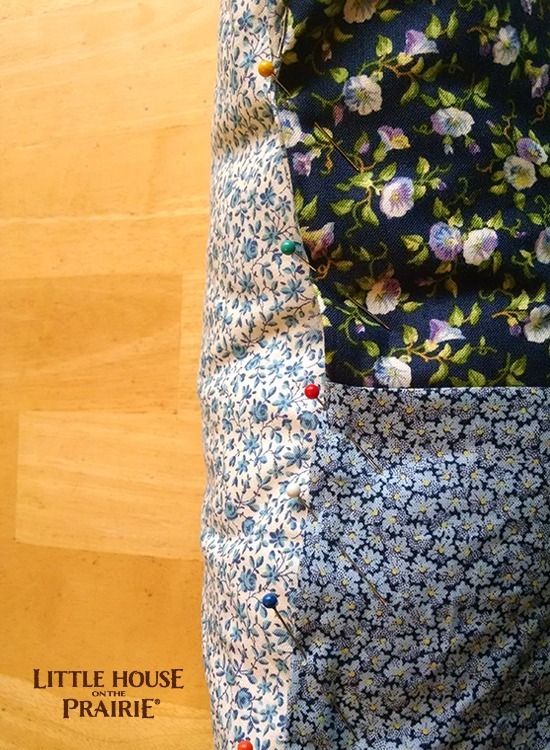 Step Seven: Sew the front to the back with right sides together. Use ½ inch seam. Leave an opening to insert the pillow form. Step Eight: Clip the corners at an angle and then turn the pillow cover right side out. Insert the pillow form. 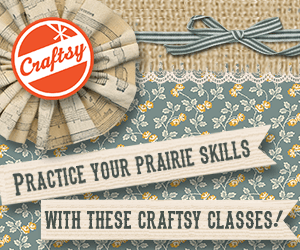 Pin the opening closed and then hand stitch or machine stitch it closed. You are done! Enjoy your pillow and feel great about creating something beautiful! 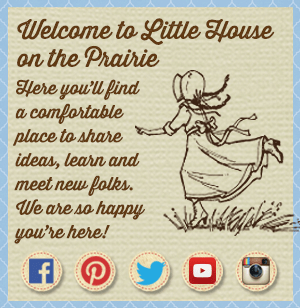 Be sure to subscribe to our free newsletter for all the latest DIYs and Little House on the Prairie-inspired tutorials.